by Staff Writer Evelyn R.
As the clock struck 6:45pm, eager students, teachers, parents and coaches with full bellies shuffled into the Robert B. Gaw theater, anxious and nervous about the approaching Season 2 Award Night. Another season of sports at ISKL has come and gone, only leaving behind incredible achievements, heroic wins, and memorable moments. Which athletes would be chosen to collect the awards? Who would win what? Who were the Coach’s favorites? Uncertainty (and awkward hugs) were on the cards tonight. Mr. Brawn introduced the various teams: Basketball, tennis, touch, rugby, and swimming, and congratulated them on how they placed among other IASAS schools in the tournaments. An especially notable win came from our Girls Tennis team, who placed 3rd in IASAS and secured a bronze medal, something that has not happened in a very long time. Moving on, Mr. Brawn spoke of the positive and welcoming community here in ISKL. How we openly greet guests from other IASAS schools. He also mentioned how even individual parents from other schools have approached him to talk about how much they enjoyed their visit to ISKL, made all the more better by the warm and peaceful atmosphere and the friendly people. Other notable moments include Mr. Long’s amusing speech, and the tears shed by coaches, teachers, and students alike in especially heart-warming occasions. Despite the embarrassing embraces, moments of laughter and clapping that echoed in the theater walls, some tears also made appearances. Mr. Johnson, when commenting on Boys Swim Team’s MVP Julian ‘17, allowed his emotions to show and teared up when wishing him the best in his swimming journey. Mr. Long continued to make us laugh by throwing roasts around here and there. After some laughter and groans died down, the rest of the awards were distributed accordingly and received with grace. 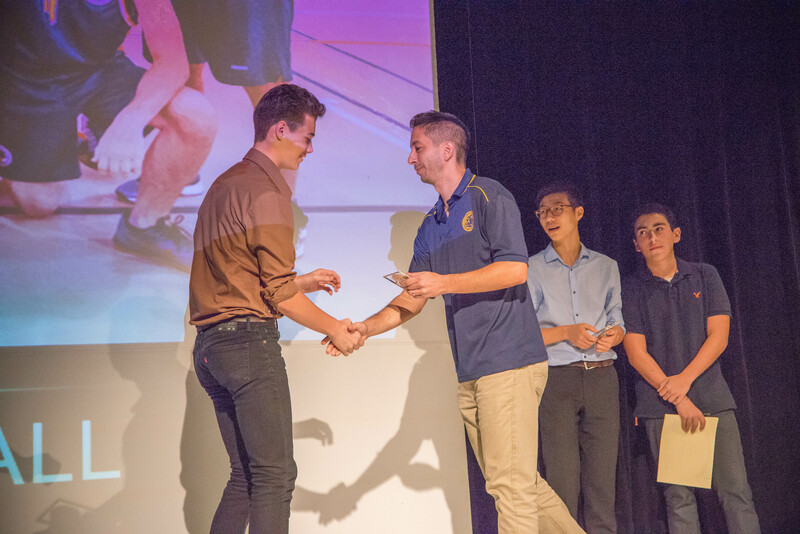 This night marked the end of all sports in season 2 for 2016/17, completed by Mr. Brawn calling all teachers and coaches who assisted the sport teams to stand as students bestowed their last thanks to their exceptional adult leaders. Congratulations to everyone that took part in the sports of season 2! Valentine’s Day: Is it worth it?